When talk turns to matters of research misconduct, the author community is most commonly left to shoulder the blame. However, there are unethical practices of which journal editors may fall foul. In this article we examine two of the most common – undisclosed conflicts of interest and citation manipulation. In its Code of Conduct for journal editors (2), COPE (the Committee on Publication Ethics) advises journal editors to establish systems for managing their own conflicts of interest, as well as those of their staff, authors, reviewers and editorial board members. It also recommends that journals introduce a declared process for handling submissions from the editors, employees or members of the editorial board to ensure unbiased review. But even with these guidelines in place, deciding what constitutes a conflict of interest can be a subjective business. As a general rule of thumb, as an editor, your goal should always be to ensure that whatever action you take, it is transparent and is made free of actual or perceived bias. Editors may also face challenges in maintaining the neutrality necessary for proper editorial decision-making. While you of course strive to be objective, you are likely very familiar with many of the individuals involved in research and publication in your field. As human beings, it may be difficult to remain completely impartial when dealing with, for example, a paper from a PhD student in your own lab, or a VIP with whom you are friendly. On the other hand, it is possible you may subconsciously disfavor submissions from individuals with whom you have had some kind of prior conflict — for example, someone who has failed to support you for funding or tenure, or someone who has rejected your own submission. Another area of concern is when an editor succumbs to improper pressure when making an editorial decision. On a number of occasions, we have seen individuals or companies demand either that the editor publishes, or refrains from publishing, a particular paper. You should make editorial decisions based on editorial and scientific factors, not on political pressure or legal threats. It is our responsibility as publishers and journal owners to ensure that you feel confident enough to operate in this manner, by standing behind your reasonable decisions. Recent computational advances and the Internet have contributed to an increase in available content that some say has resulted in ‘information overload’ or ‘filter failure’. Scholarly communications have not escaped this trend, which is why journal performance indicators can play an important role in scientific evaluation as they provide systematic ways to compare journals. There are many different metrics available, using sources such as the relatively traditional counts of articles and citations, or the more recently available web usage or downloads. 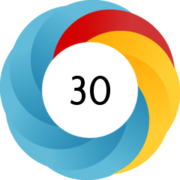 Altmetrics even make use, amongst other flavours of impact, of social media mentions. Using a variety of indicators helps yield a picture that is as thorough as possible, providing insights into the diverse strengths and weaknesses of any given journal (3,4), even though opinions on the appropriate use of journal-level bibliometrics indicators can be divided (5). Yet, journal performance metrics have long been used as prime measures in research evaluation, and many editors see it as part of their editorial duty to try to improve bibliometrics indicators and rankings for their journal (6). The importance of these rankings, and how people perceive ethics misconduct, may be influenced by their geographical, cultural, academic, or even personal background. Author self-citation, i.e. writing papers that cite articles previously authored, often with the intention of boosting one’s bibliometrics performance. Journal self-citation, i.e. publishing papers that cite content previously published in the same journal. Journal level self-citations can be voluntary, for instance with an editorial citing several papers previously published in the journal, or coerced (7,8), for instance when an editor demands citations to previous journal content be added as a condition for publication. Citation cartels (9), also called citation stacking, i.e. collusion across journals to inflate each other’s citations. This can even happen to a journal editor unknowingly - for instance, an author could also be an associate editor of Journal A, and include in their paper submitted to Journal B several gratuitous references to Journal A. These are problematic because citations are meant to provide scientifically-justifiable, useful references, which can then be used to calculate several performance indicators measuring scientific impact. Superfluous citations can distort the validity of these metrics, and that makes them unethical. Practical consequences for the journal in question can include damaged reputation: for instance, when this kind of activity results in an anomalous citation pattern, the journal runs the danger of being suppressed from the Thomson Reuters’ Journal Citation Report (10) and losing its Impact Factor for two or more years. The list of titles suppressed from the JCR seems to increase in length every year, with 66 journals for the most recent year (11). However, we need to see this rise in context as it may not only be attributable to an increase in unethical behavior - various factors could be at play, including JCR coverage expansion or improvements to the data monitoring process. *Note: This section is based on recent articles in Editors’ Update and Elsevier Connect. As part of the Scientometrics & Market Analysis team, Sarah provides strategic and tactical insights to colleagues and publishing partners, and strives to inform the bibliometrics debate through various internal and external discussions. Her specific interests are in communication and the use of alternative metrics such as SNIP and usage for journal evaluation. After completing an M.Phil in English Literature at the University of Grenoble (France), including one year at the University of Reading(UK) through the Erasmus programme, she moved to the UK to teach French at Oxford University. She joined Elsevier in 2006 and the Research Trends editorial board in 2009. 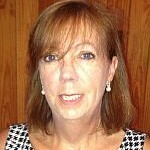 Linda is a member of Elsevier’s legal team, providing support and guidance for its companies, products and services. She is also responsible for Elsevier’s Global Rights-Contracts team, and is a frequent speaker on matters of publication ethics. Linda earned her law degree from the University of Michigan and also has an MBA. She joined Harcourt in 1995, which subsequently became part of Elsevier. Before that time, she served in a law firm, and held a number of positions in the legal, scientific, and information publishing industry. 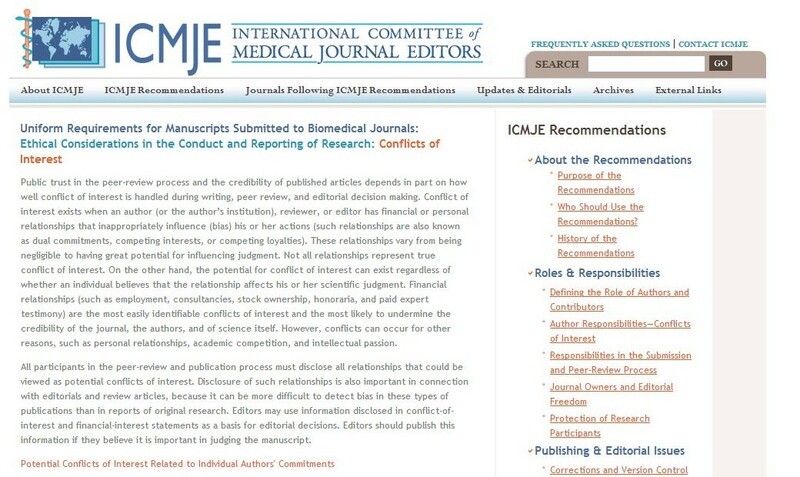 (1) International Committee of Medical Journal Editors, “Uniform Requirements for Manuscripts Submitted to Biomedical Journals: Ethical Considerations in the Conduct and Reporting of Research: Conflicts of Interest”. (2) Committee on Publication Ethics (COPE), “Code of Conduct and Best Practice Guidelines for Journal Editors”. March 2011.